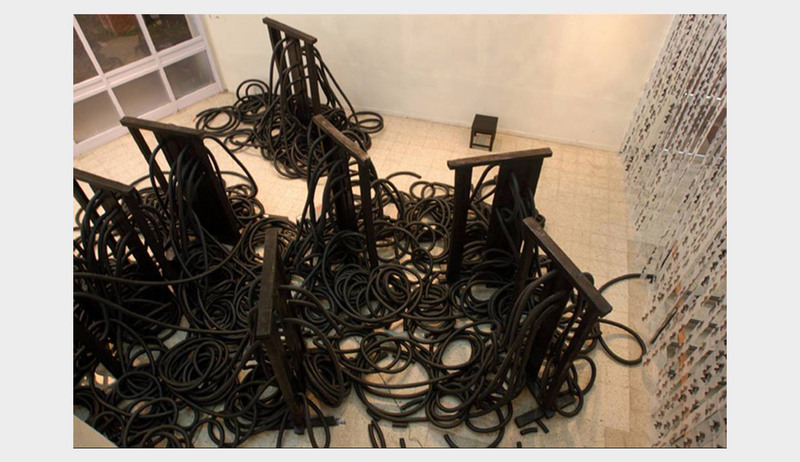 The SSAF Installation Art Grant is premised on the fact that Indian art has been energized since the 1990s by what is broadly termed installation art, but that there is, till today, limited infrastructural and institutional support for such projects. Inaugurating this grant, SSAF offers an abbreviated set of propositions that will, we hope, generate well developed project proposals and a critical discourse before and after the award. Installations foreground material structures, sometimes articulated as object configurations and dispersed fragments and at other times, architecturally. Within the parameters of the concept and term, an installation may construct a mise-en-scène for sculptural staging. It may present archival (photographic and documentary) data for conceptual and pedagogical purposes. Very importantly, it may succeed in imagining community and provoke social action. On another plane, an installation may create a fluid spatiality and a phenomenology for heightened affect. This may entail additional use of film and video; multimedia, including computer-generated fictions, kinetic forms, light, sensors and sonic elements – technologies designed to draw the spectator into an immersive and interactive environment. Installation projects are often contextual; in selected instances – when the elements deployed are inalienable from the selected site (whether warehouse, museum, rural landscape or ruin) – an installation will be considered site-specific. This is a distinct feature of installation art but not definitional, nor is it a mandatory condition for the SSAF Installation Art Grant. The mandate of SSAF’s Installation Art Grant is wide. The jury for the grant will keep all these aspects in mind when reviewing the projects. Artist-applicants will suggest the site, the means deployed to construct the installation, and explain its conceptual, technological, material and situational significance. The SSAF Installation Art Grant invites applications from emerging and mid-career artists or artists’ collectives of Indian origin who reside in India. Preference will be given to applicants who have not had adequate opportunities and exposure, who lack access to networks of national and international sponsorships. The SSAF Installation Art Grant will support an individual artist or an artists’ collective to conceptualize and produce a new work within the parameters of installation art.